I`m Navneet Beri owner of Beri Automobiles Ghaziabad. I would like to share my Business with all Sood Community. 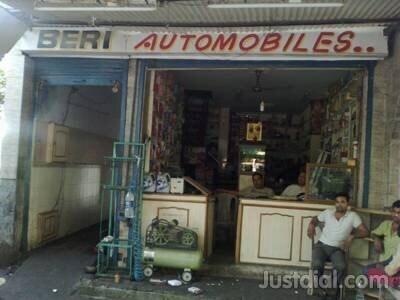 Beri Automobiles was estd. On Feb 22, 1997 with a full range of two-wheeler spare parts .We are serving our customers with the superior quality and service.We try our level best to satisfy our customer's needs and fulfill their demands on time. Genuine spare parts of bikes & scooters. Special spray for lubrication of parts used. Elevated Ramp for servicing of two wheelers. Special Polish Machine for all around polishing of two wheelers. Best quality & genuine spare parts and accessories available. Washing of two wheelers from special washing showers.Special bay for Washing. I invite all my Biradari members to visit my shop. I will provide maximum discount to all of you.